The 7.5cm PaK40/1 auf Geschützenwagen Lorraine Schlepper (f) (Marder I) was a self-propelled anti-tank gun produced by matching up a German 7.5cm gun with the chassis of a captured French armoured vehicle, the Lorraine Schlepper or "Tracteur Blinde 37L". 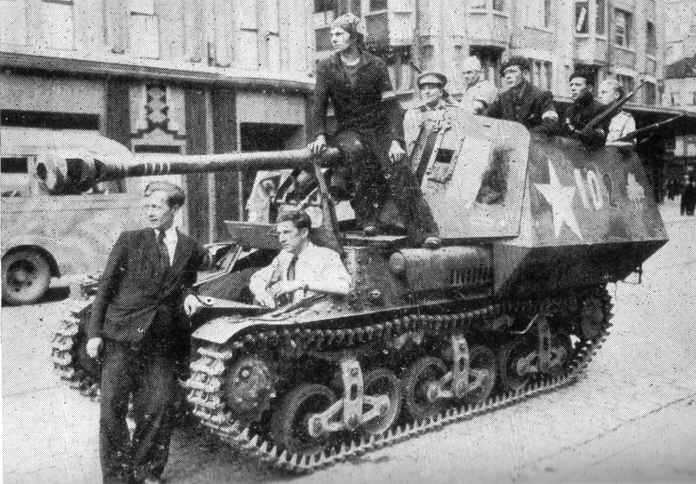 The Germans captured over 3300 of these vehicles in 1940, and 170 of them were converted to this function in July-August 1942. Most of them were given to units serving in France. This example was captured by the Belgian resistance in Antwerp.